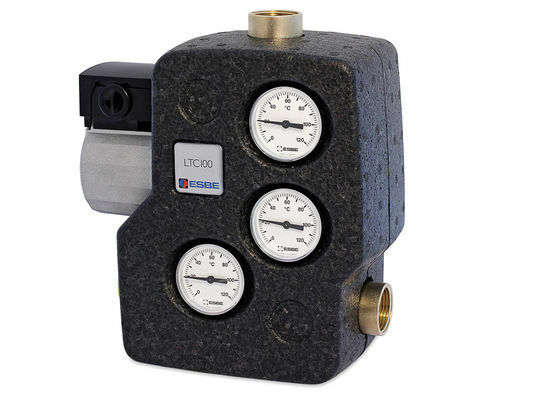 The Esbe LTC 143 load unit has 28mm compression fittings and is suited to biomass boilers up to 65kW. We match these units with most of our woodburning boilers. For log gasification we usually go for the larger 171 units, unless the boiler is small. Refer to the Esbe technical manual for sizing information, KVS, Delta T values, etc.